Originally, the G Wagon, or Gelandewagen, was conceived as a military vehicle. However, Mercedes-Benz and the Austrian firm Steyr-Daimler-Puch began discussions about a civilian version of the SUV as early as 1969. In 1971, the two companies began to grow closer to collaboration, and by 1972, they agreed to cooperate and build an SUV of “uncompromising off-road and on-road capability,” per a press release issued when the vehicle debuted in 1979. 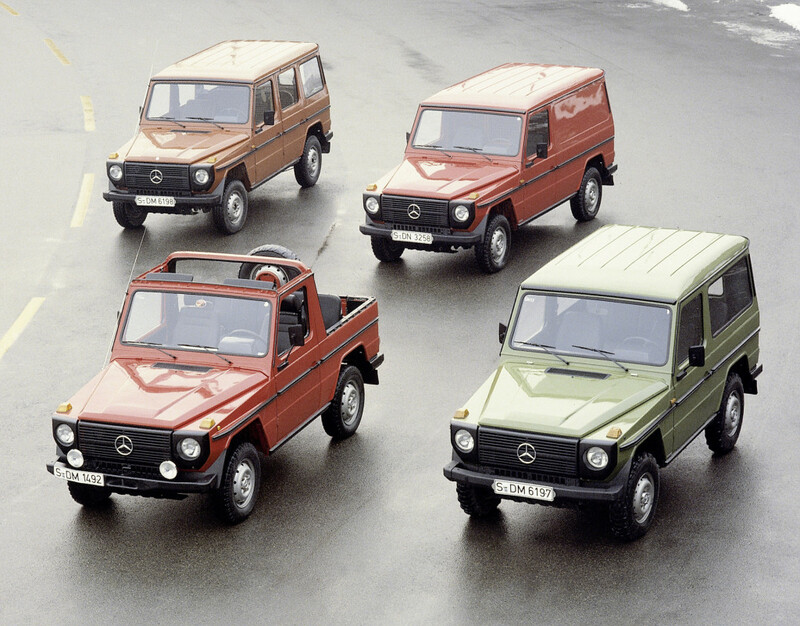 Mercedes-Benz and Steyr-Daimler-Puch created the first wooden model of the eventual G-Class in 1973, and a year later, a road-going prototype emerged. By 1975, designers had nearly completed the SUV’s design, which was nearly identical to the styling that graced the first production model—boxy shaped and all. The goal was to mix elements of large and smooth surfaces with defined characteristics, such as the G-Class’ large height, but small width. 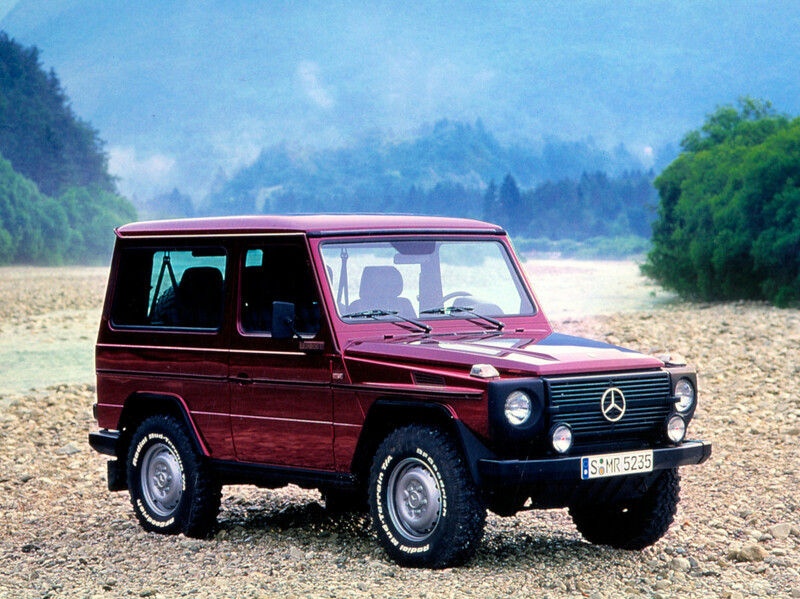 Come 1979, it was show time, and the G-Class quickly earned a reputation for off-road performance, and eventually, utmost luxury. The first model debuted with on-demand four-wheel drive, a center differential lock, and optional differential locks on the front and rear axles. It also had a solid front axle with coil springs all around. Buyers could choose from gasoline or diesel engines and a range of body styles: an open vehicle, a closed wagon, or a panel van with closed sides. 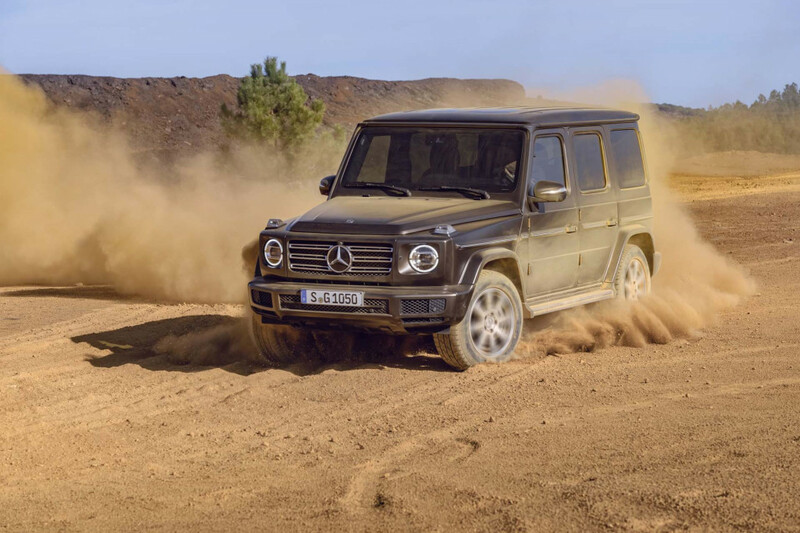 Continually, Mercedes-Benz worked to improve the G-Class’ off-road chops. Differential locks became standard equipment in 1985, anti-lock brakes showed up in 1990, and 2001 ushered in traction control, electronic stability control, and brake assist. The SUV has remained in continuous production in Austria since 1979 with numerous updates to the interior and engines, but the brand only revealed the second-generation G-Class at the 2018 North American International Auto Show in Detroit. It retains the charm of the original with a grander focus on the finer things. However, its off-road prowess can be traced back to a rather utilitarian SUV based on a military vehicle that made its debut 40 years ago.